Futura PT is designed for Bauer company in the year 1927, this amazing sans serif typeface is purely based on geometrical shapes. The font can also be referred to as the representative of the Bauhaus school aesthetics of the 1920s-30s era. The font is also issued by the Bauer Foundry. It has been arranged in a wide range of weights and widths. 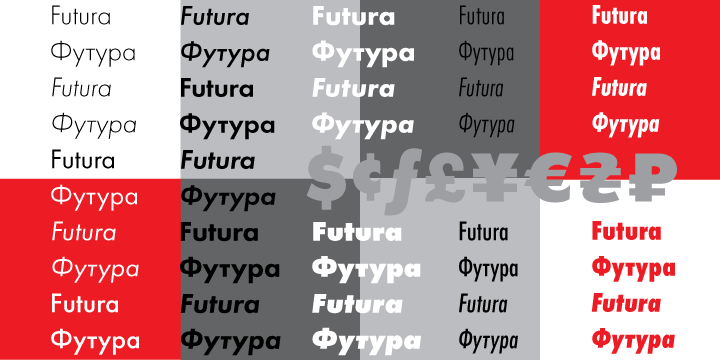 Futura® PT has attained huge popularity for its text as well as display setting.